ESPN has added another matchup to its broadcast schedule for the NBA’s 207 – 2018 season. The Rockets and Bucks will play live Jan. 18 on ESPN as part of the network’s double header schedule. The game takes the place of the previously scheduled Hawks/Pistons game which was in that slot. The Warriors and Thunder follow that game with coverage scheduled to begin at 10:30 p.m.
ESPN will lead into the night’s action with its NBA pre-game show, NBA Countdown charged by Mountain Dew. The program is scheduled to begin at 7 p.m. ET. The 2015 – 2016 NBA season is officially over. But that doesn’t mean that the basketball action is over. NBA TV is going to have plenty of NBA action this summer beginning with coverage of the NBA Summer League. NBA TV announced this week that it will offer basketball fans extensive coverage of all three of the NBA’s summer leagues this summer. In all, it will present a total of 60 games in 14 days from all three leagues. It all kicks off this Saturday, July 2nd with 24 games in the Southwest Airlines Orlando Pro Summer League. Those games will be played at Amway Center, practice facility of the Orlando Magic. They will be played between July 2nd and July 8th. Six other games will be broadcast from The Utah Jazz Summer League presented by America First Credit Union and Siegfried and Jensen in association with the Utah Sports Commission. Along with all of that coverage, NBA TV will also present 30 games from the Samsung Summer League 2016 from Las Vegas. Those games will be presented from July 8th – 15th. The top 10 selections in the 2016 NBA Draft are expected to take part in the games at the Thomas & Mack Center and COX Pavilion. The Orlando Summer League opens its play July 2nd with 10 team in action on the hard court. Up first will be the Oklahoma City Thunder and Dallas Mavericks at 9am ET. The Thunder picked up 1st Round draft pick Domantas Sabonis from the Orlando Magic in this year’s draft. Speaking of the Magic, Orlando has a pair of split squad games on the same day at 11am ET (against the Charlotte Hornets) and 1pm ET (against the Indiana Pacers). Up next on the day’s schedule are the New York Knicks and Detroit Pistons at 3pm ET. The Pistons drafted Henry Ellenson 18th overall in this year’s draft. The Heat and Clippers follow at 5pm ET. That is just part of the day’s schedule. More information on the day’s schedule is available online via NBA TV’s official website. Day 2 for the Orlando Summer League will feature a key matchup between the Clippers and Thunder at 5pm ET. The Clippers picked up Brice Johnson in the first round of this year’s draft. Before that, the Pacers and Hornets tip off at 1pm ET. The Knicks and Heat follow at 3pm ET. Moving on to the Utah Jazz Summer League, NBA TV launches coverage of that league July 4th with a showdown between the 76ers and Celtics. It will be the teams’ first meeting in the summer league schedule. Coverage of that game begins July 4th at 7pm ET. It is the first of a double-header schedule for the league’s opening day. The Jazz and Spurs follow in a 9pm ET matchup. The Spurs drafted Dejounte Murray 29th overall in the 2016 NBA Draft. Philadelphia and Boston were just as busy in the draft. Philadelphia picked up Ben Simmons with the #1 pick. They also drafted Timothe Luwawu-Cabarrot (24th overall) and Furkam Korkmaz (26th overall). Boston meanwhile drafted Jaylen Brown 3rd overall), Guerschon Yabusele (16th overall), and Ante Zizic (23rd overall). Over in the Samsung Summer League, the 2016 NBA Champion Cleveland Cavaliers open play there when they take on the Milwaukee Bucks July 8th at 6pm ET. The Bucks drafted Thon Maker in the #10 spot in this year’s draft. The Hawks and Rockets tip off at 8pm ET with the Raptors and Kings rounding out the day’s coverage at 10:30pm ET. The Hawks were busy in their own right in this year’s draft, picking up Taurean Prince 12th overall via trade and DeAndre Bembry 21st overall. The Raptors picked up Jakob Peltl 9th overall. The Kings were quite busy in this year’s draft. Sacramento acquired Georgios Papagiannis and Skal Labassiere in a trade with the Suns. The team also picked up Malachi Richardson in a trade with the Hornets. The Suns open their summer play July 9th at 4pm ET against the Portland Trailblazers. Phoenix picked up two players in last week’s draft action. The team took Dragan Bender 4th overall and Marquese Chriss 8th overall via a trade with Sacramento. The Bulls and Celtics follow in their first summer league showdown at 6pm. Chicago drafted Denzel Valentine 14th overall in the 2016 NBA Draft. The Lakers and Warriors round out this year’s NBA TV summer league coverage on Monday, July 16th at 10:30pm ET. The Lakers drafted Brandon Ingram 2nd overall in this year’s draft. The Warriors meanwhile drafted Damien Jones 30th overall. ESPN and the ESPN networks have another busy week of basketball ahead of them this week. Officials with ESPN announced today the networks’ NBA broadcast schedule. This week’s schedule kicks off tonight with a cross conference showdown between the Rockets and the Cavaliers. LeBron James and the Cavaliers play host tonight to James Harden and the Houston Rockets in the Quicken Loans Arena. The game will air live on ESPN Radio with Marc Kestecher on the call. He will be joined by Jon Barry for additional commentary. Tipoff is scheduled for 7pm ET. Cleveland has already clinched the Central Division in the East, and also sits atop the conference, three games ahead of second place Toronto. A win tonight for Cleveland will hold that lead while a loss will allow the Raptors to close that gap just a little bit more. Tonight’s game means just as much for Houston. That is because the Rockets currently sit at the bottom of the Western Conference’s playoff ladder. A win could potentially keep them in the hunt for the seventh spot on the ladder. That spot is currently held by the Jazz. After taking a couple of days off, the action picks back up Friday with a double-header. Up first Friday night is yet another matchup with huge playoff implications as the Cavs are on the road against the Hawks. Atlanta currently sits third in the East eight games back from Cleveland. It is sure to be an even matchup for both teams. Atlanta is 24 – 13 at home so far this season while Cleveland is 22 – 15 on the road. Mark Jones will have the call for the game. He will be joined by Hall of Famer and analyst Hubie Brown for additional commentary. Reporter Chris Broussard will be courtside for all of the game’s latest headlines interviews, and more. The game will air live at 8pm ET on ESPN. Friday’s second game will see Steph Curry and the Golden State Warriors host Isiah Thomas and the Boston Celtics as the Warriors’ quest for history continues. Boston currently sits fifth in the East while Golden State leads the West. The Warriors have also already clinched the Pacific division in the West. Mike Tirico will have the call for the game, which is scheduled for a 10:30pm ET tipoff on ESPN. He will be joined by Jon Barry for additional commentary. Reporter J.A. Adande will be courtside throughout the game for all of the game’s latest headlines and interviews. Before the first ball goes in the air Friday night Sage Steel, Jalen Rose, and Chauncey Billups will have a preview of the night’s games on NBA Countdown charged by Mountain Dew at 7:30pm ET on ESPN. Oklahoma City and Houston round out the week’s NBA coverage across the ESPN networks. The Thunder and Rockets will face off live Sunday afternoon on NBA Sunday Showcase presented by BBVA. The game will air live on ABC and ESPN Radio beginning at 3:30pm ET. Mike Breen will have the call for Sunday afternoon’s game. He will be joined by Jeff Van Gundy and Mark Jackson for additional commentary. Reporter Lisa Salters will be courtside for al of the latest in-game news and interviews. Kevin Calabro and Jon Barry will cover the game for ESPN Radio. Sage Steel, Jalen Rose, and Chauncey Billups will preview Sunday’s game on NBA Countdown presented by Straight Talk Wireless. The day is officially here. The 2015 – 2016 NBA regular season gets under way tonight. And beginning Wednesday, October 28th, ESPN joins in with full coverage that will take audiences straight through this weekend. 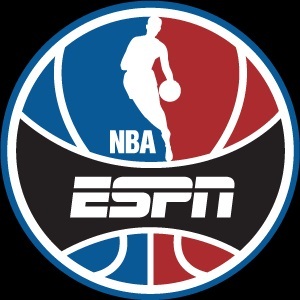 ESPN begins its coverage of the 2015 – 2016 NBA regular season Wednesday night with a Western Conference double-header. First up for the night is a matchup between the Thunder and Spurs live from Oklahoma City beginning at 8pm ET. Kobe Bryant and the Los Angeles Lakers follow at 10pm ET as they host Karl-Anthony Towns and the Minnesota Timberwolves. Coverage of that game begins at 10pm ET. Mike Tirico will have the call for that game. He will be joined in the booth by analyst Mark Jackson and reporter J.A. Adande. the T-Wolves will be playing with heavy hearts but a real purpose Wednesday night following the death of coach Flip Saunders Sunday at the age of 60. Over the course of seventeen seasons in the NBA, Saunders accrued a record of 654 – 592. This includes his time coaching in Detroit and Washington. Ahead of Wednesday night’s double-header, ESPN will air a special one-hour edition of NBA Countdown beginning at 7pm ET. Sage Steele will anchor the broadcast and will be joined at the desk by analysts Jalen Rose and Doug Collins. As an added bonus, ESPN will broadcast rapper Missy Elliot’s new single ‘WTF (Where They From)’ during its broadcast of NBA Countdown. The song features famed performer/producer Pharrell Williams. ESPN’s NBA coverage won’t be limited to just ESPN as it joins in all the basketball celebrations. Over on ESPN2 NBA Coast to Coast–ESPN’s NBA whiparound show–will have coverage of all of the action around the league from 8pm – 11pm ET. Cassidy Hubarth will anchor and will be joined by Ryen Rusillo, analysts Tim Legler and P.J. Carlesimo, and ESPN NBA Insider Chris Broussard. On Thursday morning, Cassidy Hubarth and P.J. Carlesimo will have even more coverage on NBA Tonight at 1:30am. That broadcast will be on ESPN2 as well. After things wind down Thursday morning, ESPN will continue its NBA coverage Friday night with yet another double-header. First up Friday is an Eastern Conference matchup that sees LeBron James and the Cavs hosting James’ former teammate Dwayne Wade and the Miami Heat at 7pm ET. Mike Breen will have the call for that game. He will be joined in the booth by Doris Burke for additional commentary. Stephen A. Smith will also be on hand for a special edition of SportsCenter on the Road beginning at 6pm ET. In the night’s second game, James Harden and the Houston Rockets renew their rivalry with the Golden State Warriors when the defending NBA Champions come to town. Tipoff for that game is set for 9:30pm ET. Ryan Ruocco will have the call for the game. He will be joined in the booth by Jeff Van Gundy and Chris Broussard for additional commentary. Both games will be live on ESPN. NBA Tonight will follow live at 2am ET with Cassidy Hubarth and Antonio Davis for a full wrap up of the night’s games and highlights on ESPN2. For those that prefer it, the full schedule for this week’s NBA coverage is included below. ESPN analysts Jeff Van Gundy and Mark Jackson talked to the media yesterday about today’s start of the NBA Finals. The duo discussed not only this year’s finals matchup between the Spurs and Heat, but also the impact of another championship on either team and the role of the Eastern Conference on the Heat’s place in the NBA Finals this year among much more. The following is the complete transcript from the conversation that the pair had with members of the media in anticipation of tonight’s opening game of the 2014 NBA Finals. Game one tips off tonight at 9pm ET on ABC. The game will be preceded by NBA Countdown at 8:30pm ET. Audiences that might not be able to catch tonight’s game on ABC aren’t out of luck. The game will also be available on ESPN Radio, ESPN Deportes, ESPN3 and WatchESPN. More information on the ESPN family of networks’ coverage of the 2014 NBA Finals is available online at http://www.facebook.com/NBAonESPN and http://espn.com/nba. To keep up with the latest sports and entertainment news and reviews, go online to http://www.facebook.com/philspicks and “Like” it. Fans can always keep up with the latest sports and entertainment news and reviews in the Phil’s Picks blog at https://philspicks.wordpress.com.